It’s 2015, college is just around the corner, and Ireland has more homeless students than ever before! There are currently about 25,000 students struggling to find accommodation, and this figure is expected to remain high for several years if drastic action is not taken. So whether you’re reading this in 2015 or 2050, these ten tips will help you earn your degree in Street Smarts and survive the next few years in the wilderness of Ireland’s concrete jungles. Just because you live on the streets doesn’t mean you have to smell like them. Most colleges and universities in Ireland will have some sort of gym that you can shower in. Whether or not you work out is up to you, but it’s a great alternative to just lying in that bed you don’t have. While it may seem entertaining to laugh at people who have kitchens and have pack/unpack the dishwasher, you still have clothes that need washing. Thankfully, Ireland is full of natural beauty, and you’re never too far from a river, canal, or lake. Every so often, the County Council will add Fairy Liquid to the fountain in front of Trinity, allowing students to wash their clothes for free. If you’re going to be homeless, you need to get your priorities straight. Food is less of a challenge than many of the other entries, as in the student demographic food is classified as a luxury good, and is usually the first to go when the budget rolls around. Just remember, you can go 3 weeks without food, but only 3 days without drinking. By the above maths, you really should be eating at least once a month. Again, this shouldn’t really be a huge problem. With all the money you’re saving on rent, you can afford to eat out more often. If you do find yourself a little strapped for cash, and iron is always a good investment. 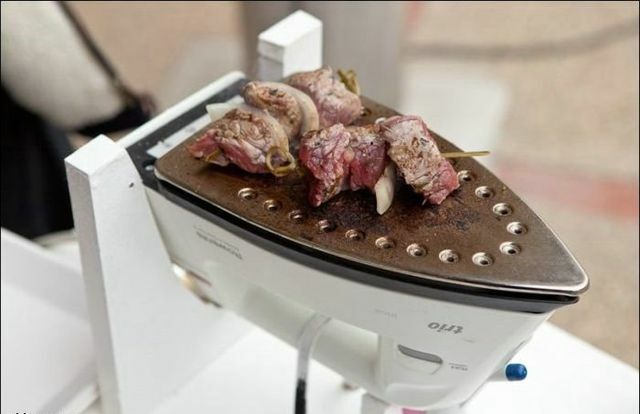 Not only can it make your clothes look great, but plug it into the plus in college, turn it upside down, and you have yourself a makeshift cooker. Drinking has become quite a popular pastime among the student demographic in recent years. This may result in significant unexpected costs for many of you. You will be saving money on rent, true, but you won’t have anywhere to either predrink or store your alcohol for another time. The solution for this will seem pretty obvious to many of you, but let’s just make sure we’re all on the same page: squirrels. Not only can you hide your drink with their stash of nuts, but they make great drinking buddies.